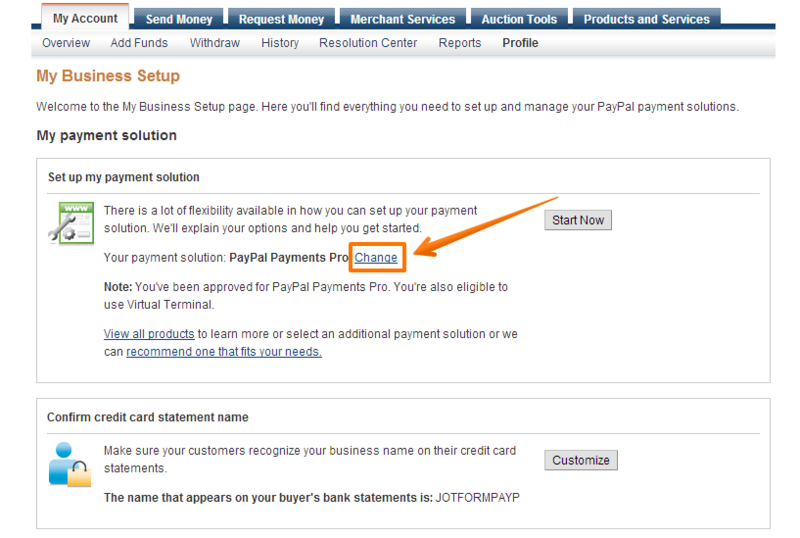 JotForm's PayPal Express integration requires a Business PayPal account. If you don't have one yet, sign up or upgarde your existing Personal account. If you want to use PayPal's pop-up (in-context) payment system, the items you are selling must not require shipment (i.e., Digital Goods) and Digital Goods must be enabled for your Business account. API Username, API Password and Signature - Obtain your PayPal API credentials by following the steps here. 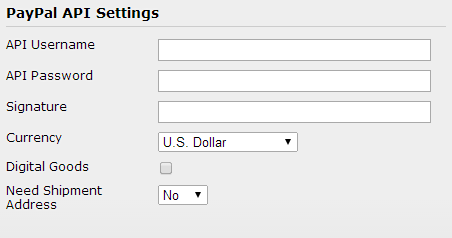 Alternatively, you can use this PayPal API widget to get your API directly. Currency - The currency to be used for the payment transaction. The currencies listed are the ones that are currently supported by PayPal. 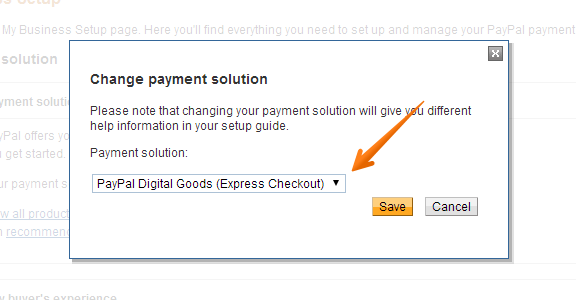 Digital Goods (checked by default) - If checked, this integration will use PayPal's Digital Goods flow. For this to work, your PayPal account must have Digital Goods enabled, and that your products do not need shipment. If unchecked, you can choose to require a shipment address and charge a shipping fee, but the integration will use the regular Express Checkout flow. Need Shipment Address - This is only available for Non-Digital Goods integration. Sell Products - Select this if you are requesting a one-time payment for a physical or virtual product or service that you are selling. Sell Subscriptions - If you require a recurring or multiple payments from your buyers. Depending on what you are selling or offering, you will be presented with different options pertaining to your transaction type. With products, you will need to add items and corresponding options for such items. For subscriptions, you must add subscription items and specify the subscription conditions such as payment interval, number of payments, free trials (if applicable), etc. Donations are pretty straightforward, and the settings are displayed as soon as you select the option. 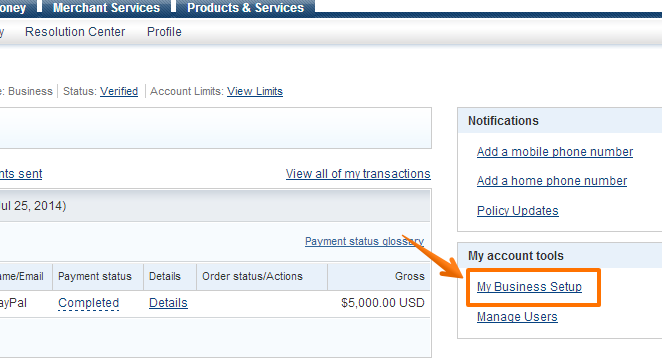 Click here to learn more about payment/order form types. If you have further questions, feel free to visit our support forum for more help and assistance. This procedure should be updated. Paypal's UI does not look like the screenshots anymore. Is anyone else having customers not able to make payments via a Jotform with PayPal express? Have had several customers contact us that when they click to finalise payment the screen freezes or they see a blank screen (and the payment doesn't go through). how do i redirect my customer back to my custom thank you page after they purchase on pay pal?